Yet another update for MCPE featuring some additions, a lot of fixes, and improvements to your gameplay experience. 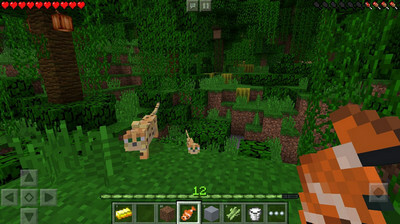 Minecraft Pocket Edition 0.13.1 for Android 2.3 + with unlocked premium skins is available for download. The Mod Apk features 'no damage' and unlimited breath and inventory hack. The addition of Redstone in this update is a big deal, as it gives players the capability to create all sorts of things using wires, buttons, pressure plates, and other ways of managing power. - Basic Redstone Circuits, including Redstone Wire, the first set of Redstone Producers (Daylight Sensors, Pressure Plates, Tripwire Hooks, and more), and the first set of Redstone Consumers (activator rails, note blocks, TNT, Trapdoors, and more). The rest of the Redstone functionality is right around the corner…stay tuned. -Desert Temples! But maybe stay off the roof...can't say we didn't warn you. - Redstone Circuits: Redstone Wire, Torch, Lamp, Levers, Buttons, Pressure plates, Tripwires, Trapped Chests and Detector Rails. Craft them all! 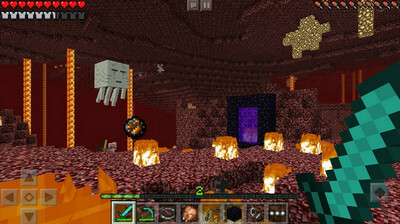 - Slimes and Ghasts now actually spawn! Please do comment and let us know if everything works fine! WE UPDATE the game on this same page so we remove old links to put new ones! Does the mods work for multilayer ?